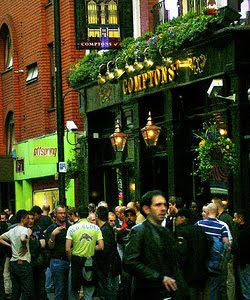 The South East pub operator Faucet Inns has acquired one of London’s most iconic gay pubs, Compton's, in London’s Soho district. As reported by the Publican, Faucet acquired six pubs from Mitchells and Butlers for £17.5m, including Comptons, which is understood to have been exchanged on last Friday. Faucet Inns runs more than a dozen pubs in London and the South East. M&B is in the process of selling off non-core sites and converting better performing drink-led pubs to more food-focused venues as part of a shift towards increasing its presence in the dining-out market. The fate of Compton's is unknown at present. The traditional pub, located on Old Compton Street in the centre of London's bustling Soho, has over 20 years of history as a gay venue.